today i want to talk about something that’s been on my mind lately, and what i’ve realized has opened up a world of doors for me. i used to look at a goal or ambition and become insanely overwhelmed thinking about all of the daunting details involved with achieving it. i’d get so defeated that i’d often give up before i started. point A to point B would often seem SO far away and almost impossible to imagine getting to. what i’ve learned since then is that the best way to get where you want to go (or become who you want to be) is one small step at a time. so my advice is this: whatever it is you want to accomplish, forget about how long it will take you to get there, don’t focus on everything that will be involved in doing so, and instead sink all of your energy into doing any small thing that will get you closer. do you want to be a person who travels the world? start a savings account, create a vision board of photos of the places you want to go, start journaling and write about the places you want to visit, get a part time job and squirrel those extra pennies away for your travel adventures, subscribe to a travel magazine, plan a garage sale to get rid of some of your stuff and put the proceeds into your piggy bank. just tackle something every day that moves you in that direction. focus on the small things you can do to get you onto that flight to nepal. don’t worry about the big picture, life/momentum/the universe will take care of the rest. i promise, one day you will wake up and realize YOU ARE that person that travels the world. This is so helpful right now. I'm a recent law school graduate studying for the bar…and its so hard not to worry about how I'll be employed afterwards. This really reminded me how much I need to simply focus on studying hard. I think the biggest thing for me has been to find a friend who can help teach me whatever I want to learn or motivate myself to follow through. This is exactly (EXACTLY) what I needed to hear and thus practice. I am struggling with many many goals, one of which is to get out more in the web world. Today I took a small first step and commented on one of my favorite bloggers sites (that would be this one :). Thank you. This is awesome , thank you sometimes you need that encouragement from a friend. Blog friend. ha. I have always worked since I was 16 and I am 35 and feeling the urge to finish college. I loose focus at times because I like to make money and I love to shop so this fall I need to just take the plunge and do it. Focus on that degree and forget the rest. Thank you so much for sharing Sarah. Wow – what great thoughts. I must I too get overwhelmed by my goals so this line really speaks to me ' just tackle something every day that moves you in that direction' – in the next few months I'm going to start smaller to reach my goals! As a writer, I totally have this problem when it comes to big personal and professional projects. I think it's also important to have a very specific goal to work towards like "I want to run the NYC marathon this year" instead of just "I want to be a runner". or "I want to travel to Greece" or "I want to be able to cook X dish". That plus breaking them up into smaller goals like you mentioned is something I really find helpful. I totally relate! I made my foray into the kitchen 5 years ago when we decided to start a whole food/veggie diet. Now I can (sort of) dance around the kitchen like Julia Child, but it took YEARS to master the basic things: like how to cook a perfect egg and fry up onions. i'm so happy this resonates with you all as well! and i love reading about what you're all trying to achieve! I liked what you had to say and I definitely can relate to having anxiety as to how I'm going to get to somewhere. Thank You for sharing your thoughts and it can be the simplest thing that open up the first door to help you get to the goal / ambition you're trying to achieve. Thanks, Sarah! I needed this today. Really appreciate your blog. So nice to see your progression of work, it's really inspiring. Lmk next time you are in LA. Would love to see you! Thanks for this musing! I also recommend writing down the goals, whether they are short term or long term, and keeping them in front of you (maybe pasted on your computer or mirror- somewhere that you can see them daily). I actually bought a notebook and pen and carry them in my purse to write down things that inspire me in relation to my goals. It keeps my eyes on the prize. Such a great post. I try and live this way but sometimes forget and get overwhelmed. Thanks for the inspiration and keep it coming! Thank you so much for writing this reminder – it's really encouraging as I have been the person you describe – too easily overwhelmed and discouraged! It's a control issue, for sure! And the key for me is to just enjoy the process for what it's worth, without too much attachment to the vision, but always hoping for the best. Hi Sarah and thanks so much for this great post! I find myself exactly in this situation! I am applying for a permanent residence permit and it is a bloody nightmare! Tons of paperwork and I just know it's going to take forever and I can't help feeling overwhelmed…But the most difficult thing for me is trying and not be negative. Like I always picture things going wrong at some points like losing papers or being denied something. I always see myself being set back and struggling. Anyway, your post really did help though! This post really hits home with me. Most, if not all, of my anxiety comes from a place of uncertainty about the future; specifically career-wise. I'm almost 21 years old and in community college, with a part-time job that I know I don't want to have for the rest of my life. I have 1,001 ideas about who I want to be and what I want to do, yet I don't feel particularly certain about any of them at the moment. So I guess getting from point A to point B isn't really my problem. My problem is figuring out where point B is. It's causing me a lot of stress and frustration. All the time people tell me, "You're still so young. You don't need to know all the answers yet." But regardless, I feel lost. I have little motivation to go to school because it doesn't seem logical to spend large sums of money just to take classes aimlessly, with no goal in sight. How am I suppose to know what to major in if I don't know what the heck I want to do after college? Seriously, nightmarish. But baby-steps is still good advice, I suppose. This post did make me feel a bit better, so thank you for that. Keep on keeping on. my husband and i began dreaming of buying a vintage rv, renovating it, and moving from co –> ca in it around this time last summer (just before our wedding). well, next thursday we leave for san diego! like you said, it just takes doing something (no matter how small) everyday to help you reach your goal until you are there! I found this page today via Lana Lou's blog. Synchronicity! I am in the throes of a "where to from here" challenge, and anywhere from 'here' may mean sacrifice so it seems really overwhelming and has led to inertia. Your words reminded me to take a step back and focus on the next few small steps. Thank you for sharing. Wow, I'm so glad I found this post, in a way it feels like it was meant for me. Today, as I'm turning 24 and in the past few weeks, I've spent a lot of time thinking about my big goals, and getting frustrated realizing how far from them I am. I'm just like you mentioned, wishing I knew how to do all kind of things well but not knowing how to get there…or wishing that somehow I just all of a sudden knew hot to do the things I dream of (whether it's cooking, driving or even blogging) without having to go through the learning process. Deep down inside though, I know that the learning process is what makes getting to your goals special, so maybe I should take this 24th year to cultivate my patience and motivation to follow through with my goals and dreams. I'm in need of a big white board where I can write my small steps/everyday goals on them and not forget where I'm going. I get lost and loose my enthusiasm. I look at other's work and forget myself. I compare too much. Learning to just live everyday as it comes and not worrying so much about the outcome but enjoy the journey of getting there. Thank you for your article. Wow. I'm reading this on the morning right after I had a round with my bf about the same thing. I have a habit of having to know everything from point a to point b to the minute details to get me started on anything, whereas he's the guy who has plenty of ideas but never get around to finishing most. But I guess what I can take away from you and from him is the balance, the knowing enough part. out more. Thanks for wonderful info I used to be searching for this information for my mission. Hurrah! At last I got a website from where I be capable of actually take useful information regarding my study and knowledge. I’ll right away seize your rss as I can’t in finding your e-mail subscription hyperlink or newsletter service. Hurrah! After all I got a website from where I be capable of genuinely obtain valuable facts regarding my study and knowledge. I am actually grateful to the holder of this site who has shared this wonderful post at here. absolutely no knowledge of coding however I was hoping to start my own blog in the near future. bones, so anything I kept would smell to high heaven forever. It might help your lose weight because it boosts your metabolism naturally. and will be tweeting this to my followers! Exceptional blog and great design. for the budding businessperson looking to enter retail sales. I am a plugin creator for the wordpress platform. as you’re getting vast sums of website traffic, I am looking into you and the post. Hi there to every body, it’s my first visit of this blog; this web site consists of remarkable and in fact fine stuff designed for readers. the official i – Phone unlock service. unlocking procedures which are efficient and easy to use. Also, The contents are masterpiece. you’ve done a magnificent job on this topic! Wow, that’s what I was searching for, what a stuff! existing here at this blog, thanks admin of this web page. Hello my friend! I wish to say that this article is awesome, great written and come with almost all vital infos. your story. I can’t believe you’re not more popular since you surely possess the gift. This is seriously wonderful. Many thanks plus maintain this good creativity. I do accept as true wwith all off the ideas you’ve presented to your post. They aree very convincing and can certainly work. web page regularly, if so then you will witrhout doubt geet good know-how. New Balance Kids New Balance 890 V3 EiQev La loro estetica moderna era stupendo, sofisticato e senza tempo. New Balance 1064 YdsNC Negli ultimi 5 anni, ho questo conto ogni giorno, e 29 altre persone così bene, 7 giorni alla settimana. Quindi sì, tendo a bagnare un po ‘più di quanto ho bisogno durante l’esecuzione di rasoio, perché so che la materia non cazzo. new Balance 670 femme New Balance 980 mGptv Un’altra LT ha un suono di chitarra Dio Pink Floyd, brutto lato del Muro, se sai cosa voglio dire. Improvvisamente proprio nel 1975, e anche gettato in un piccolo lamento sassofono portare a casa..
Super Mario ho rotto Kidz Bop formula di successo e sezionato Justin Bieber acconciatura e passi di danza. dai mega hit Star Wars: Episodio IV!. gente di oggi avrebbe potuto essere cercando di vendere. New Balance Minimus Mt10 New Balance 420 Femme YHzKw Tenda seggiolino. sono rimasto bloccato in inverno e una piscina per bambini. But yeah, thanx for spending some tiume to discuss thi issue here on your website. 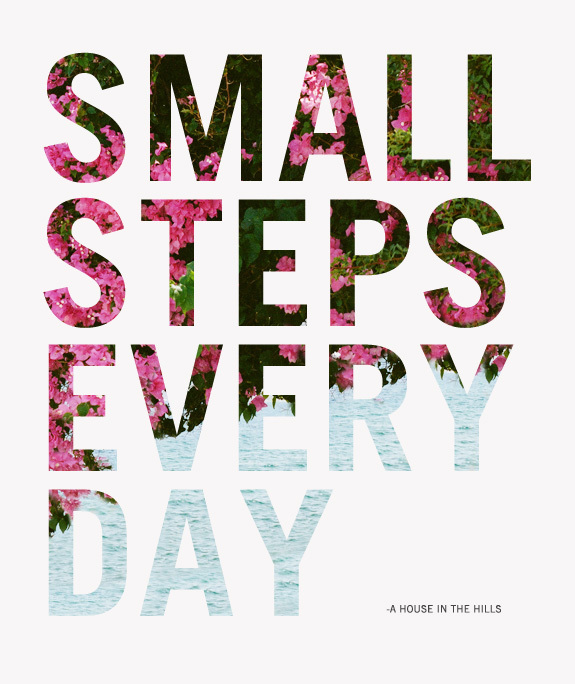 up here musings : take small steps – A House in the Hills. Is it just me or does it look like a few of these comments come across like written by brain dead individuals? I took a psychology class once and we talked about this same subject. The professor told us we could reach our goals if we put things we had to do to reach the goal on a calendar. Pretty nice post. I just stumbled upon your blog and wished to mention that I’ve really loved browsing your weblog posts. Taking the ‘first step’ is always the hardest regarding how small it is. To reach your goal, you don’t only need to focus but you also have to have courage to take that first step. Pretty excellent posting. I just now discovered a person’s blog site as well as wished to say that We’ve actually liked checking your site posts. No matter the reason I’ll be subscribing within your feast exactly what wishing you are submitting again as soon as possible! I want to be the one who travels the world, it is very interesting to travel, nice. get readers excited about everything’ve written. Just my opinion, it could make your website a little livelier.